The 9th annual CiderCon took place in Chicago, Illinois from February 6 to February 8, 2019. This annual trade conference for the cider industry is produced by the United States Association of Cider Makers. CiderCon is the largest cider conference in the world. 44 states were represented, with Michigan, New York, California, Minnesota, Washington and Oregon bringing the most attendees. Members from 10 countries attended, including people from Canada, Korea, Ireland, Japan, the United Kingdom, Holland, Spain, Luxembourg and Russia. 1087 people attended, the largest attendance for the event in three years. This included 223 vendor representatives, 99 top quality speakers and 21 members of the media. This year’s tradeshow was the largest CiderCon tradeshow to date. New additions to the event included two cider bars, a game and lounge area, and on floor cider samples. USACM piloted its Certified PommelierTM exam at CiderCon 2019, an advanced second level designation of its Certified Cider Professional program geared toward cider servers. 30 people were in the initial Certified PommelierTM exam cohort. Certification passage rates will be announced later this month. 100 attendees participated in a Chicago Food and Cider Tour showcasing food pairings and cider from some of Chicagoland’s hottest cider spots: The Northman, Farmhouse Chicago, Right Bee Cider, and Eris Brewery and Ciderhouse. In the opening general session of CiderCon 2019, research firm Nielsen reported that the cider category’s retail sales in the United States grew faster than beer and wine last year. Rosé ciders, national cider brands and regional ciders led overall cider growth in 2018. The cider category is 10 times bigger today than 10 years ago, and is gender balanced, with a 50/50 split of female and male consumers. 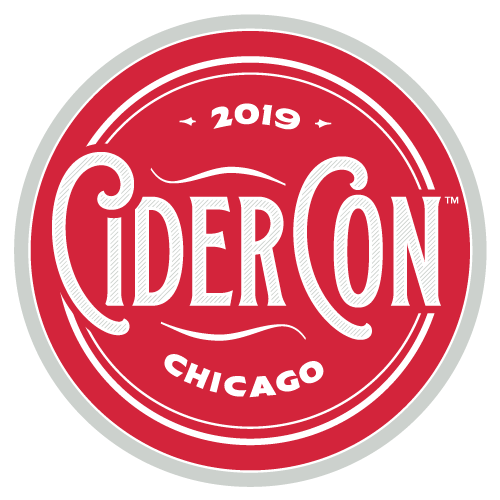 CiderCon 2019 took place during Chicago Cider Week, a series of cider-based entertainment and education events and immediately before Cider Summit Chicago, a public festival at Chicago’s Navy Pier featuring more than 150 ciders, cocktails and apple spirits. The Pomme Boots Society held its first annual meeting at CiderCon 2019. The group’s mission is to support a positive network connections, education and professional development for women in the dynamic field of cider. Paul Vander Heide of Vander Mill in Michigan was reelected as President of USACM’s board of directors. Brooke Glover of Swilled Dog Hard Cider in Franklin, West Virginia, was elected as USACM's Vice President. Ben Calvi of Vermont Hard Cider Company in Middlebury, Vermont was reelected as Treasurer and returns for a second term on the board. Eric Foster of Stem Ciders in Lafeyette, Colorado, was reelected by the board to continue as the Secretary of USACM. In addition to USACM Officers, the group’s Board consists of Regional Chairs, Members At Large and three Large Cidery Seats. Eleanor Leger of Eden Specialty Ciders in Vermont was elected for her second term on the board, this time as the Eastern regional chair. David Thornton of James Creek Ciderhouse in North Carolina was newly elected as the Southern regional chair. Read more about the 2019 board of directors in this press release. CiderCon 2019 presentation slides can be viewed here. If you don't see what you're looking for, keep checking back - we are updating them as they come in! CiderCon was created to offer the commercial cider industry an outlet to meet, share ideas, collaborate and effect positive changes in cider making and cider fruit production best practices, the cider market and cider regulations. CiderCon is organized by the United States Association of Cider Makers. USACM’s mission is to grow a diverse and successful U.S. cider industry by providing valuable information, resources and services to our members and by advocating on their behalf. In the event of cancellation by Attendee or Vendor (in writing to info@ciderassociation.org with receipt acknowledged by CiderCon staff): by December 2nd, 2019, all fees paid less $100 for processing & handling will be refunded. If cancellation occurs between December 2nd 2019 and January 3rd, 2020, 50% of fees paid will be refunded (50% of total fees paid will be forfeited); after January 3rd, 2020, the full cost (full value, regardless fees paid) will be forfeited. No refunds will be processed after this date. Refunds will not be given for no-shows.